This November, California Steak restaurant, Kantary Hotel, Ayutthaya, invites you to try our succulent selection of spicy sashimi with Thai herbs. 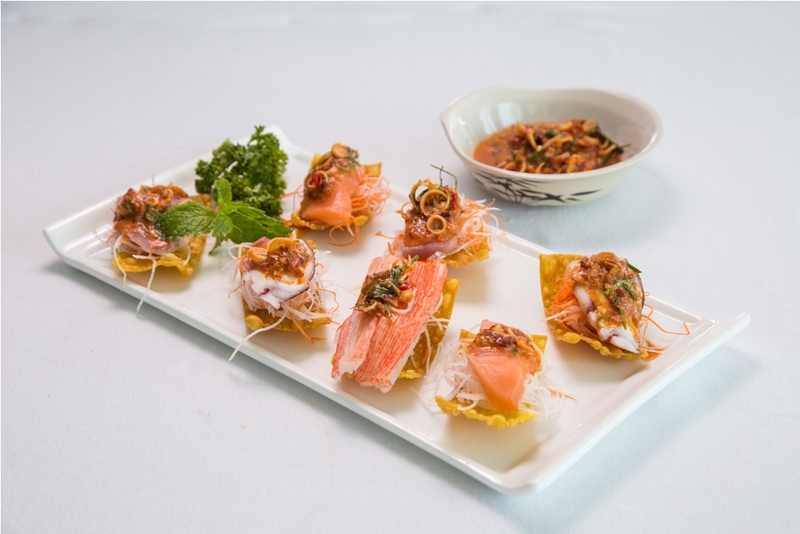 Our skilled and creative chefs have combined the finest elements of Japanese cuisine with the dynamic flavours of Thai spices, a truly delicious combination that will leave you wanting more. This appetizer is even more enjoyable when accompanied by a white wine. Enjoy this succulent dish for only baht 220++ . For more information please contact Kantary Hotel, Ayutthaya at tel: 035-337-177 or visit the website at: www.kantarycollection.com. วันที่ 11 พฤศจิกายน 2558 เวลา 14:30 น.